In Across the course the competitor can compete in one of four classes (scroll down for descriptions). Three position, Four stages: slow fire standing or offhand, sitting rapid fire, prone rapid fire, and prone slow fire. In a slow fire stage the target is lowered after every shot and then raised indicating shot placement and scoring value. In rapid fire the competitor has a given a fixed amount of time to execute the string of shots with a magazine change (interval specified by type of rifle). At the end of the string the target will be lowered and scored. When the target is raised the group will be marked along with the number and value of all of the shots. 200 yard Offhand- This stage of fire features a prep period, two convertible slow fire sighters from standing and 20 slow fire rounds for record in a 2 shooter block time of 50 minutes. The stage is shot from the standing position, during this stage the shooter may not use a sling. 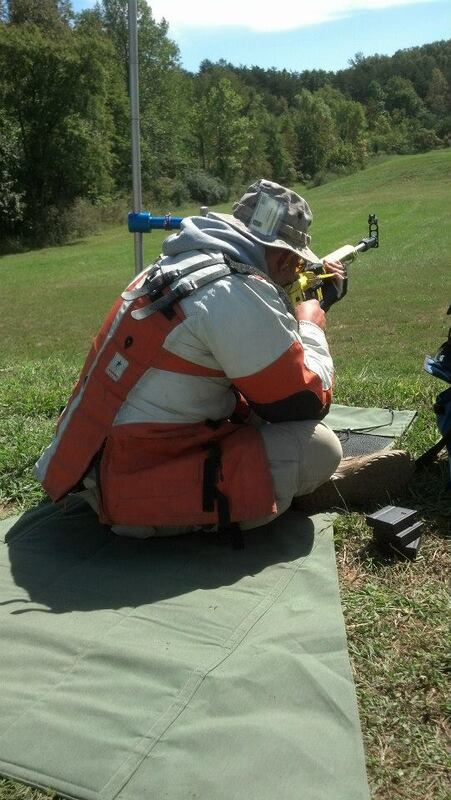 200 yard Rapid Sitting (or kneeling)- The second stage is shot from the sitting position with sling support. Shooters remains in position for the entire stage. The shooter may elect to shoot from the kneeling position. This stage starts with a 5 minute period for preparation ("prep") and 2 slow fire sighters. Upon command the shooter will have a 60 second period to execute 10 shots for record with a magazine change. After the period is over the shooter will receive groups and scores and then will shoot a second 10 round string for record. 300 yard Rapid Prone- The third stage is much like the second stage accept it is shot from the prone position with sling support. 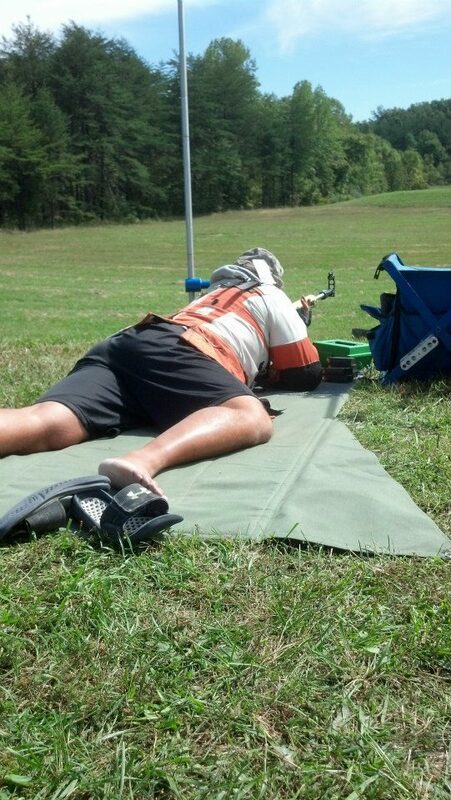 The shooter remains in the prone position throughout the stage. The stage features a 5 minute period for prep and 2 slow fire sighters. The shooter will then have two 10 round rapid prone strings of fire in a time limit of 70 seconds with a magazine change. 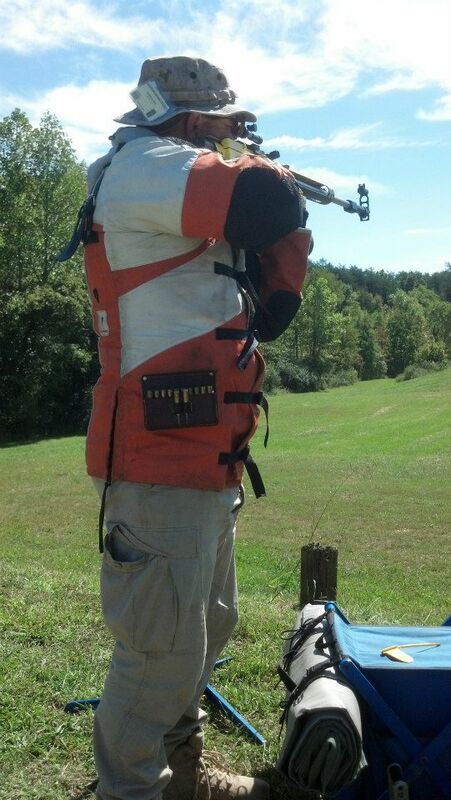 600 yard Slow Prone- The forth and final stage is shot from the prone position with sling support. The shooter will have 2 convertible sights and 20 rounds for record in a 2 shooter block time of 50 minutes. The above rifles must have standard or national match type sights, or in the case of the AR-15 may have an optical sight of a magnification no more than 4.5x. They must have a trigger pull of equal to or greater than 4.5 pounds. There are other rifle specific requirements of the above types, please check NRA rule 3.1. Starting in 2016 AR-15 Service rifles were allowed to have a scope with a maximum magnification of 4.5x. 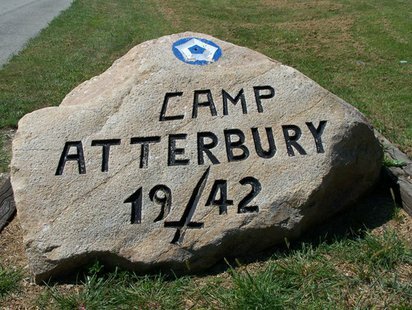 In 2018 this was opened up to all service rifles. 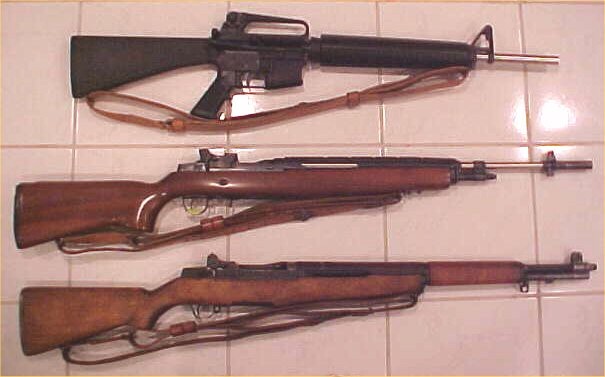 Foreign Government rifles manual or semi-automatic are eligible regardless of model provided they are of peep and post sight or v-notch and post sight configuration and are under .35 caliber and shooting smokeless powder. Match Rifle- Any centerfire rifle with metallic or optical sights of unlimited magnification capable of holding at least 5 rounds. Limited to .35 Caliber or less. Please check NRA rule 3.3 for further descriptions. Starting in 2017 Match rifles were allowed to have scopes of Unlimited magnification. What is the minimum equipment needed to shoot?